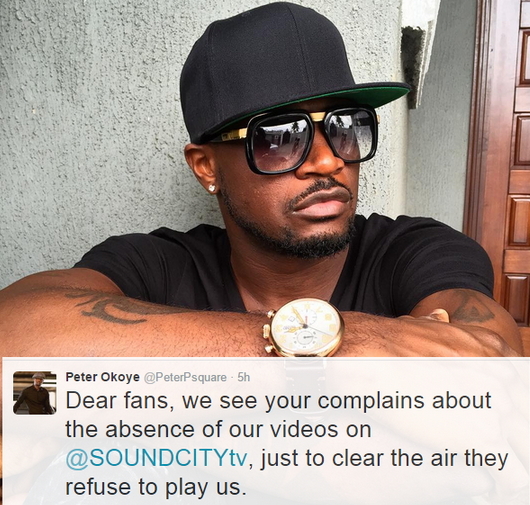 PSquare To Fans: Sound City TV Not Playing Our Videos, Watch Other Great Channels Like…. Sept 10, 2015 – PSquare To Fans: SoundCity TV Not Playing Our Videos, Watch Other Great Channels Like. Psquare duo Peter and Paul Okoye have warned their fans to stop watching Sound City for refusing to play their videos. 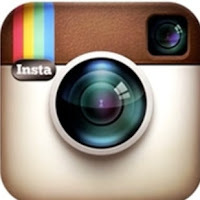 Peter Okoye told fans that the entertainment company has refused to air their videos for unknown reasons. Whenever an artist who collaborated with them is being aired, the PSquare part is often censored. Worried fans took to the social media to ask Peter Okoye who later warned them to stop watching Sound City and instead watch other reliable music stations like MTV, Hip,etc. @MICKY MOUSE Your comments is always disgusting,who are PSquare?Are they Gods?Did you follow the story from the onset?Their manager said what has Sound city done for them?Someone who aired their music for 10years and he said what has sound city done?Psquare or what are u called,Shey nah u people go tell us say nah fish dey inside sardine.If i dey watch soundcity for my house abeg make una come tune am to una preferred station.Ungrateful pple. if you don’t wat us to watch soundcity? Den open new one for us!